Perhaps the most major task undertaken by British Railways was to replace steam with diesel traction. This , on the whole, was achieved with many different designs of diesel-electric locomotives. Not so for the Western Region where diesel hydraulic traction was employed. These now legendary types were the 'Hymeks' which were built by Beyer Peacock, the 'Westerns' (all named 'Western ...........') and of course the 'Warships' which were named after famous naval vessels. It is now many years since these machines departed from the main line scene, there is a modest collection in private preservation though. The following views appear by courtesy of David Hills. 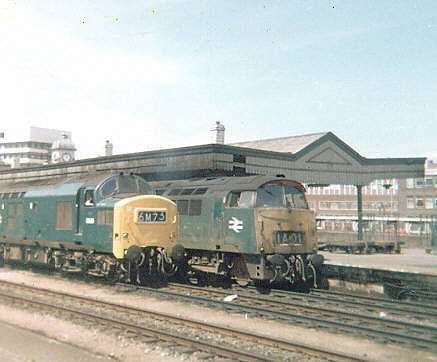 D1013 (Western Ranger) leads D1023 (Western Fusilier) into Bristol Temple Meads on 26th February 1977 with a London Paddington - Swansea - Plymouth - London Paddington farewell special. 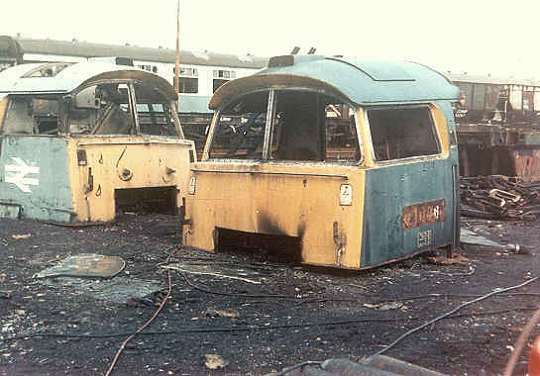 D1010 (Western Campaigner) and D1048 (Western Lady) were on standby at the nearby Bath Road depot. 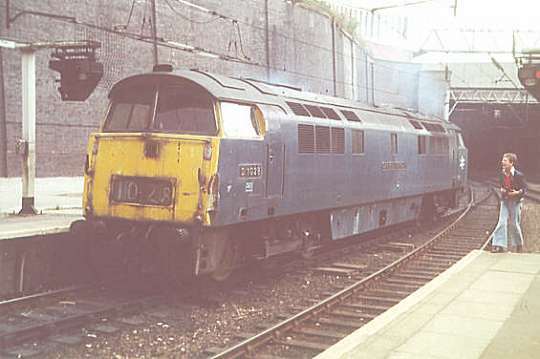 Remarkably all four locomotives survive in preservation to this day with D1023 being part of the National Collection. D1028 'Western Hussar' is seen at Birmingham New Street on 7th August 1976, with only three months to go before condemnation. The locomotive is running round it's train which it had worked from London Paddington; it is believed there were three turns around this time booked for a '52' although it was mostly a case of a Class 47 appearing. The end for D1046 'Western Marquis' at the place of the locomotive's construction - Swindon Works. The frames can be seen on the right hand side of this view. The date is November 7th 1976, 'Marquis' had been withdrawn some 11 months previously. 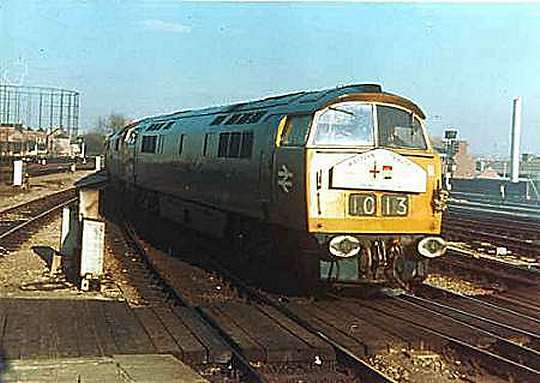 This view just oozes history as D1050 'Western Ruler' awaits the 'off' on a Paddington train whilst D6858 (later to become 37158) is seen in the centre road. The location is Cardiff during 1973.